With all of the deadlines and hustle and bustle of life sometimes it’s nice to just come home and relax outside by your beautiful lawn. But what if your lawn isn’t so beautiful and peaceful? As someone who is easily stressed out I crave quiet time alone just sitting outside on my deck that looks out over my lawn. However, after some poor lawn management last year my yard isn’t looking so nice. Luckily for me DealDash has plenty of things that can perk up my backyard to make it not only beautiful, but a peaceful and tranquil place that I can go and escape my worries for a few minutes. I find the sound of running or trickling water extremely relaxing and peaceful. One of the first things that I would like to get to perk up my backyard is a fountain from DealDash. The fountains that DealDash offers are made to last season after season, and they are constructed of stone powder and polyresin so they will be durable for outside use. If you think that a fountain would look great in your yard, garden, or patio you can check out this link here to see the fountains that DealDash is offering for auction. Another thing that I have always admired in other people’s backyards is when there is a bench overlooking the yard, instead of just some lawn chairs. Benches lend a touch of class and they don’t break the bank, either. Benches are great if you want to share a seat with your kids or your sweetheart, and some benches even have gliding features built in for a soothing rocking effect. If you’re interested in checking out the benches up for offer on DealDash just click this link here and it will show you some different styles. 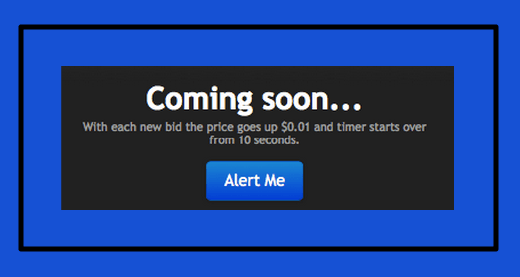 If you’re interested in bidding on a fountain or bench (or any product) that isn’t currently available just click the handy “Alert Me” button, and DealDash will send you an email when the auction is ready to begin. You may cancel the alert at any time by clicking the button again. You may set as many alerts as you would like, DealDash will take care of the rest! I hope that you are excited about getting your backyard into shape! You can set your Bid Buddy and get one of these great products for a fraction of the cost. If you don’t happen to win the auction, though, you can still be a winner by using BIN (Buy it Now). When you BIN you get the product that you wanted, all of your bids back, free shipping, and keep all of the bids that you won as being the highest bidder. Good luck and happy bidding everyone. Oh Man! I really want one of those benches! I’ll get it, I’m sure….I always do! DD has already helped in the making my yard more beautiful. I won the arbor and a water fountain 2 years ago and every summer the flowers start blooming under and around them. Just wish my photo of these wins could have given me the 1000 bids needed to bid more.